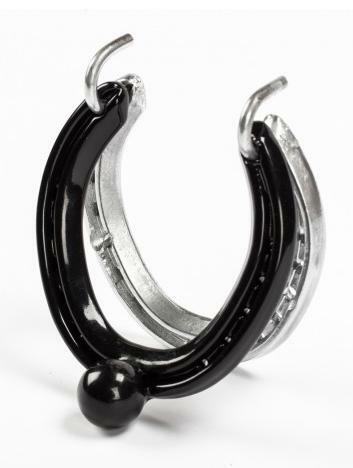 The Stubbs Knock Knock Horseshoe Door Knocker is a stylish item which would suit any horse enthusiast. Ideal for houses, stables and even shops. It is made from real horse shoes, one zinc-plated the other coated in black, with a solid iron ball which gives an impressive feel. There are currently no questions for Stubbs Knock Knock Horseshoe Door Knocker - be the first to ask one!